Editor’s Note: Urantia Foundation has been supporting the Asidaos in their outreach efforts in the Philippines for several years. The results of their efforts are bearing fruits, and we are pleased to share their progress with you. 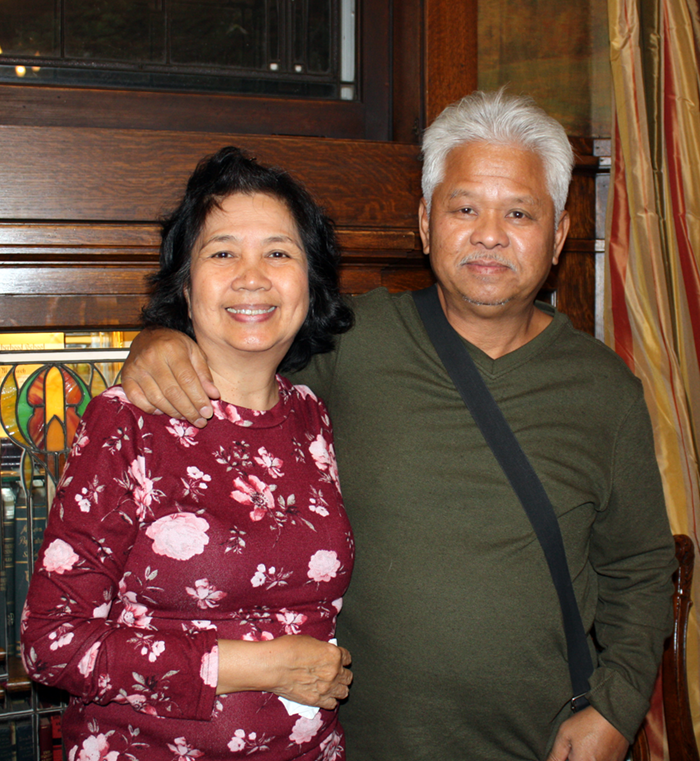 On behalf of the entire board and staff at Urantia Fountation, we give our deepest thanks and appreciation to Eugene and Belen for their efforts to seed The Urantia Book and its teachings in the Phillipines. In the June 2017 edition of the Foundation’s News Online, an article was published by Belen Asidao, in which she detailed the third visit she and her husband, Eugene, made to the Philippines to seed The Urantia Book in their native land. This year, the Asidaos visited the Philippines again. They recently returned to the United States and have shared with us some of the highlights of their trip, which emphasized outreach and training leadership of study groups of The Urantia Book to the next level. Much of the Asidaos' time was spent in Metro Manila, but they began making visits to other provinces and cities from June to July, before returning to their home base in Pasig City. They visited readers in Bacolod City and Sagay City, both in the province of Negros Occidental, and in Cebu City, Cebu Province. 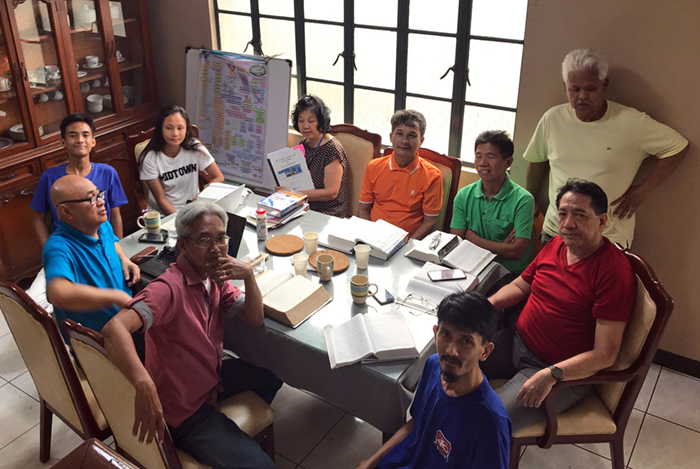 They helped the Sagay City leader work on consolidating his group by having regular study meetings and by relating to other Christian communities in the city. There is a group in Iloilo City, Iloilo Province, that is also having regular study group meetings, and the Asidaos are trying to encourage this group to meet weekly for intensive study. The Cebu City group is a meditation group that has been meeting for more than 12 years, and some members of the group are also readers of The Urantia Book. Because of the efforts of the Asidaos, that group is now interested in establishing ties with other groups of Urantia Book readers and asked one of the readers to lead regular study of The Urantia Book during their meetings. They also are in touch with a group in Bulakan Province, which is primarily a meditation group that studies The Urantia Book from time to time. A Urantia Book reader in Palawan Province was contacted via Facebook by a reader in Metro Manila. When this reader went to Manila for a law review, he attended a meeting of the Metro Manila study group. He was given eight copies of The Urantia Book for his friends and other interested individuals, and hopes to form a study group. One of Belen and Eugene’s primary purposes this trip was to establish a weekly intensive study group in Metro Manila. Besides taking a key step toward their goal of establishing a more formal organization of readers in the Philippines, this has proven to be the most interesting experience of their trip. Eugene and Belen find it takes a week just to prepare a good presentation of each paper. The study is both intensive and extensive, but it also develops camaraderie, as there is time to enjoy humor and get to know one another over breakfast, lunch, and afternoon snacks. During the last hour, they discuss organizational business matters and further develop personal relationships. 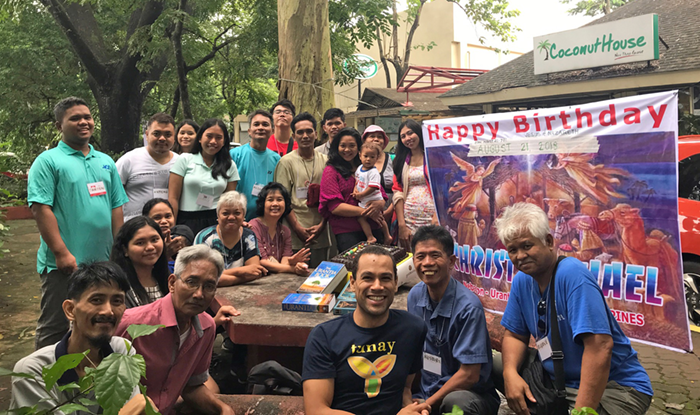 The remainder of the Asidaos’ stay included ongoing encouragement for Metro Manila readers to visit families of Urantia Book readers, inactive readers, and friends who are potential readers. They hope the Metro Manila group will start organizing more study groups in their area, also known as the National Capital Region, consisting of 17 adjacent cities. They also attended the International Book Fair, where they were able to join another group that allowed the Asidao’s to display The Urantia Book in their booth (the cost of having their own booth was prohibitive). They also walked around the fair holding a sign promoting The Urantia Book and, when people expressed interest, directed them to the booth for more information.